In the latest video, brief glimpses of the HP slate's user interface show something that is not vanilla Windows 7, with big app icons and a sidebar for contextual menus. That's a good prerequisite for any tablet that wants to redefine personal computing. Not that there's anything wrong with straight-up Windows 7, but it's best enjoyed with a mouse and keyboard. The five hours of battery life Engadget reports for HP's slate is a major letdown, simple as that. You cannot leave a computing product out and untethered all day when its battery won't last past lunch. For a device that thrives on being at arm's reach all the time, that's a problem. The letterboxing that occurs when watching video on Apple's iPad is not ideal, but the tablet's non-HD aspect ratio pays off on all other occasions. 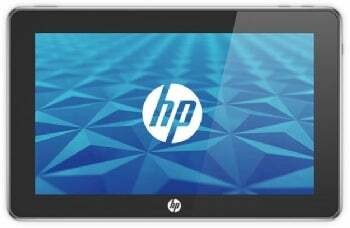 The HP slate reportedly measures 5.7-inches wide in vertical orientation, compared with the iPad's 7.47 inches. You're going to want that extra real estate when reading books, browsing Web sites and using Facebook or Twitter. Apple's basic, $500 iPad supposedly debuts at a lower price than HP's slate, but only for a 16 GB model that HP won't offer. The balance tips in HP's favor for 32 GB ($550) and 64 GB ($600) versions, compared with $600 and $700 for 32 GB and 64 GB iPads, respectively. Then there's the ability to add more storage via SD card, a big no-no on the iPad. Even if you don't frequently use a front-facing camera, it's is a nice feature to have, which is probably why most laptops include one these days. Tablets, which make great coffee table companions, are especially conducive to impromptu video chats. Too bad the iPad doesn't have one. I don't know how much bulk, weight or expense comes from the HP slate's reported 3-megapixel camera, but it's an unnecessary feature that should be scrapped if it detracts from any other aspect of the device. Don't believe me? Check out the video where some rendered hands are holding up the device to record video. It's silly, especially if users already have 3-megapixel or greater cameras in their pockets. You're on your own with this one. The merits of Flash on HP's slate and subject to change as Apple looks to encourage HTML 5 as the preferred Web video platform. I'm inclined to think Flash is a blessing and a curse for HP's tablet, but we won't know for sure until it's out in the real world.